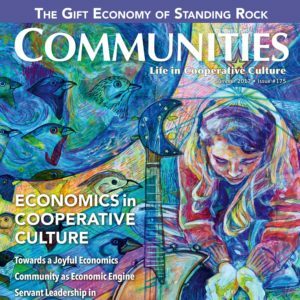 Many of us believe that learning environmental connection, stewardship, and renewal is essential – especially in these times. 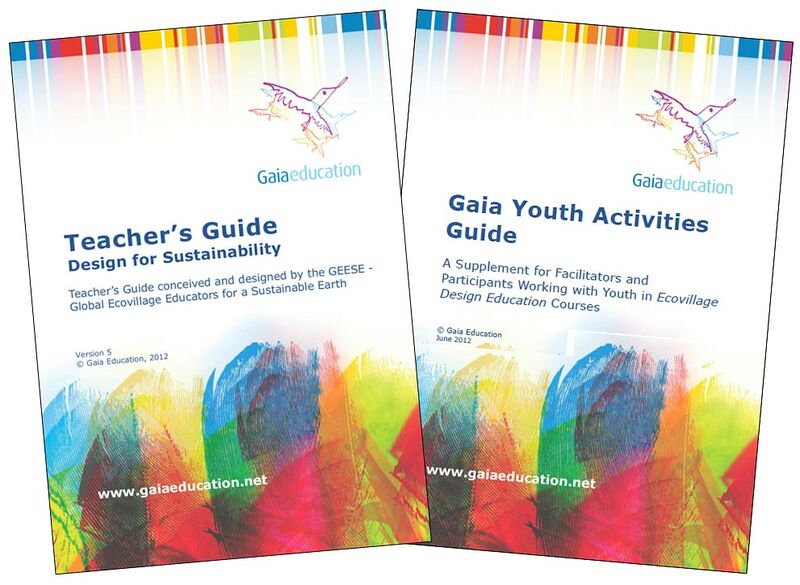 Gaia Education is an organization that promotes a holistic approach to sustainability education, and this is reflected in the curricula it develops. 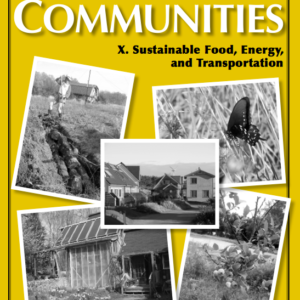 Drawing from best practices and real world experiences in rural and urban ecovillages around the world, from a consortium of educators, thinkers, and activists in these fields, these two guides provide one of a kind insights into educating about sustainable development. 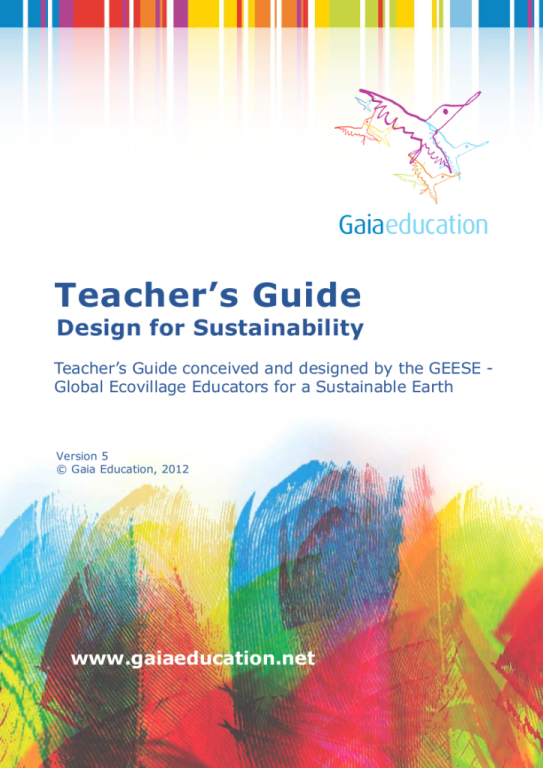 The Gaia Education Teacher’s Guide is a practical manual for sustainability teachers, from universities and classrooms, to ecovillage education courses, or for implementation in your own community. 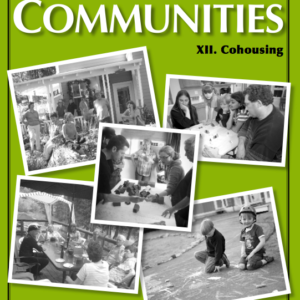 In this 333 page manual you will find a comprehensive guide packed with innovative materials, approaches, and tools that have been developed in and tested by sustainable communities and transition settings worldwide. Social, Ecological, Worldview and Economic dimensions of sustainability. 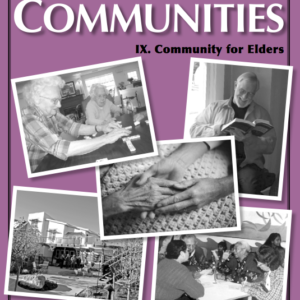 Creating community & embracing diversity. Decision making, and circular leadership from power over to power with. Economy: making the shift, plugging leaks in local economy, local currencies. Appropriate use of natural resources, urban agriculture and food resilience. 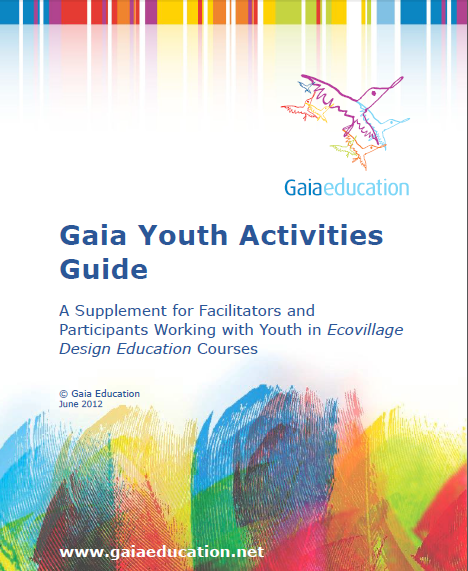 This guide is an expanded part of the Ecovillage Design Education curriculum developed by Gaia Education, which has been taught over 150 times to over 5,000 people in 34 countries on 6 continents since 2005. This guide is also an official contribution to the UN Decade of Education for Sustainable Development- UNDESD 2005-2014. The Gaia Education Youth Activities Guide is a manual for teachers and facilitators teaching sustainability that aims to inspire youth to design long lasting sustainable societies. There is always great transformational potential in the youth, and this guide works to empower youth to become effective agents of change. The activities and ideas in the guide set out to make learning about sustainability comprehensive, practical, engaging, and fun. Conservation of natural resources, environmental protection. Leading lifestyles of social, economic, and environmental sustainability. Theoretical explorations and practical activities. 4 dimensions of sustainability: Worldview, Social, Ecological, and Economic. Global Solidarity, and finding courageous and optimistic solutions to problems. Finding right livelihood, addressing poverty. Building Food Security and localization. If you find these Guides useful, you may also enjoy the expanded Gaia Education course of the 4 Keys to Sustainability!